Thanks for letting me know about In A Good Way. We have material that we would be willing to donate to them. By the way, You are the greatest. About 4 years ago I sent you a note about making 1,000 quilts for the Katrina victims. You posted it on your website. Within 24 hours I had e-mails from NY, CA, GA, ND asking if they could help. Within a short time I had received quilts from GA and NY to send to the kids in Mississippi. I still receive quilts and stay in contact with my friend in NY. We delivered the quilts to MS, became a non profit, bought a building last month and have delivered over 2,000 quilts to US, Mexico orphanage, Eastern Europe through World Vison, Cameroon Africa, Uganda Africa, and Haiti. Who would have guessed that we would be on our way to our Million quilts for kids around the World. You showed me we are all connected. At the time I e-mailed you in 2005 I just started with one quilt. 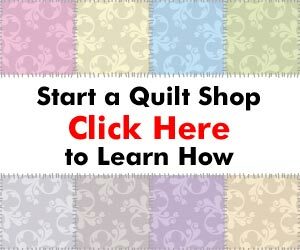 Check our website at kidzquiltz.homestead.com and our blog at kidzquiltz.blogspot.com. Some may unsubscribe, but I think you are the greatest. You encouraged me to JUST DO IT, and I did with about 1,000 other people helping me. When you receive an email like this, it makes the time spent pulling together this site and sending out the ezines well worth the effort. Wilma has been a great supporter and community member, and her charity is a wonderful organization that is doing something wonderful for children who need a little quilted love! Keep up the good work, Wilma, and thanks for the wonderful note. And if you can help Wilma and Kidz Quiltz, please visit the website. Our quilt shop sews for our community on Friday afternoons. We donate to Birthcare and Battered Women’s shelter. To date we have maded 18 quilts and started in August, 2009. We have donated 195 pillowcases to ConKerr Cancer for children hospitalized locally with cancer. We believe charity starts at home and plan to serve those in need around us. We too are in need of fabric and thread. We are located in Medina, Ohio if anyone would like to come sew, please visit the web site for further information. how do you make sure the baby quilts are flame retardant is there a special batting to use? There are flame retardant battings available. If you do a search on Google for “flame retardant quilt batting” you’ll find a number of them. Here’s one I found: http://www.quiltersdreambatting.com/. Good luck with your baby quilts! We make quilts for kids. We have given away about 2200 quilts since our beginning after Hurricane Katrina. This week we sent 100 quilts to Denver, CO, World Vision to be delivered to Haiti. On Saturday, Feb 6th we are having a Quilting day to make another 100 to ship to Haiti. We are located in Fort Lupton, just north of Denver. Anyone is welcome to come and help us sew quilts for kids. We work Mon-Thur every week. Chuck, Thanks for adding us to you list of charities. We recently shipped another 300 quilts to World Vision for kids. They are for kids in need, whereever the need is. They were probably shipped to Haiti. Another 50 is being shipped to Mississippi for the tornado victims. Kidz Quiltz will just keep making quilts. There are so many need among children in all these storms and natural disasters.